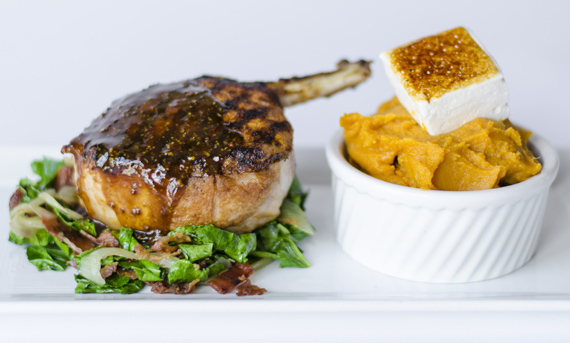 The sweet potatoes play off the meatiness of the pork chop and the bitter bite of the mustard greens. Our sweet potatoes are topped with a house-made cinnamon maple marshmallow. Yep, it tastes as good as it sounds.